Two programs, two ways to hone your leadership skills. Choose the series that aligns your professional development goals with your unique skillset and learning style. 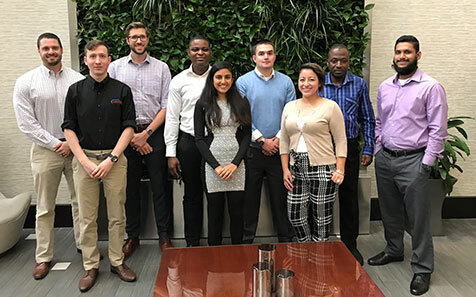 NACE joined the Emerging Leaders Alliance Conference (ELA) to offer young professionals training to promote the development of great leaders to guide the future of the corrosion industry. The ELA is a partnership among leading engineering, research, and science organizations that provides high-quality leadership training. Everyone in attendance is sponsored by one of 9 different member organizations and come from varying backgrounds. Whether you are currently managing and looking to change the culture or you are looking for ways to improve your leadership skills, the ELA will teach you how to be the influencing factor in accomplishing your goals and the goals of your organization. This year the ELA conference is scheduled for November 3 - 6, 2019 in Falls Church, Virginia. NACE will sponsor* ELA Conference registrations (US $1500 value) for young professionals who are chosen to attend the conference. Engage in a four-day program focused on leadership skills and learning how to be an effective leader in your industry. The NACE Leadership Program prepares members to ascend as leaders both in their professional careers and within the Association. Selected participants will engage in discussion on topics intended to develop their communication and leadership skills. 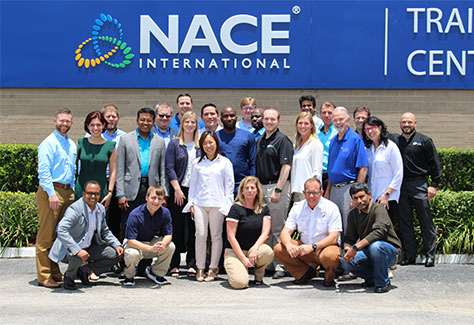 NACE will select 24 applicants to attend the NACE International Leadership Program on June 18, 2019 – June 21, 2019 in Houston, Texas. Registration for selected participants is $400. Travel stipends may also be awarded. The application deadline is March 22, 2019. OR served in a leadership role within a NACE Section/Area OR Served in a volunteer role to support existing NACE programs. Participants will have pre-work to complete prior to attending the Leadership Program onsite. Contact Heather Butler, Sr. Manager of Membership, at Heather.Butler@nace.org with any questions you may have regarding the program, application or selection process. All applications and supporting documentation must be submitted through the NACE Foundation Academic Works web site. Only completed applications will be considered. Deadline to apply is March 22, 2019. Access the NACE AcademicWorks website. Complete the General Application and select “NACE Leadership Program” to continue the application process. Click on “Finish and Submit” button to submit your application. Your application may be edited at any time prior to the application deadline. Login to your account and click on the appropriate application to make your changes. Click “Update Your Application” at the bottom of the page once you have completed changes.